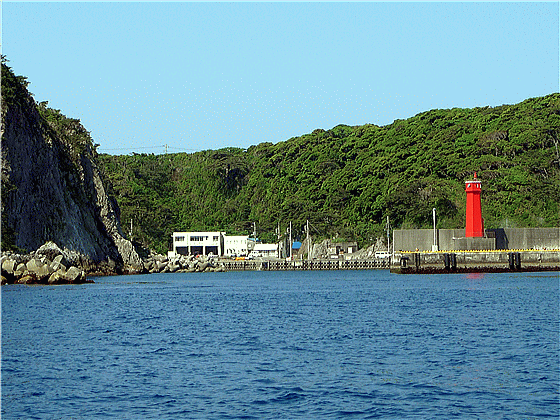 Nobushi is the main port of Shikine-jima Island. Move to 34 20.110N　139 13.1900E to get a view of the whole port. Then move into the port watching the red lighthouse of the port on your right. Good news for yachties visiting Nobushi Fishing Port. 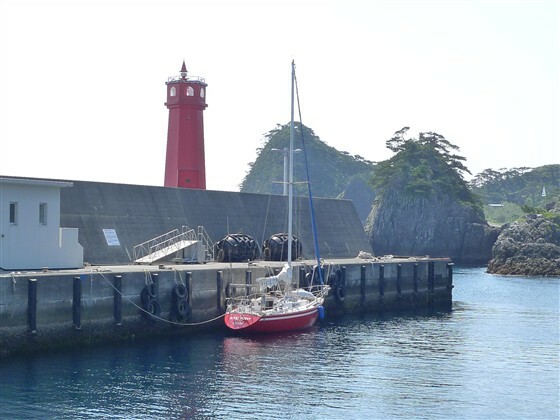 When I asked Gyokyo, Fisheries Cooperative Association, if sail boats can be moored at the port, they said that sail boats are welcome as many as possible. 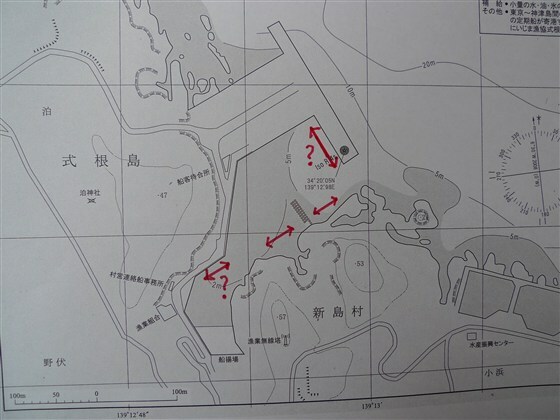 When the port is full with fishing boats, they will try to find a berth space for a sail boat. Ask Gyokyo for your berthing. Be noted that the berth space behind the red lighthouse, where I moored in the past, is now for jet ferries. Water is available at Gyokyo. Toilet is at Tokai Kisen building next to Tourist Association. Shikine-jima is an Onsen (spa) island. Ikoi-no-ie is a public bathhouse for JPY200. Jinata Onsen at the bottom of a rock beach is strongly recommended. Ashitsuki open-air-at-beach Onsen is another recommendation. There are small food shops. There are many restaurants, especially around Shiraishigawa Beach. Kuroshio, a strong ocean stream, is running through Izu Seven Islands.